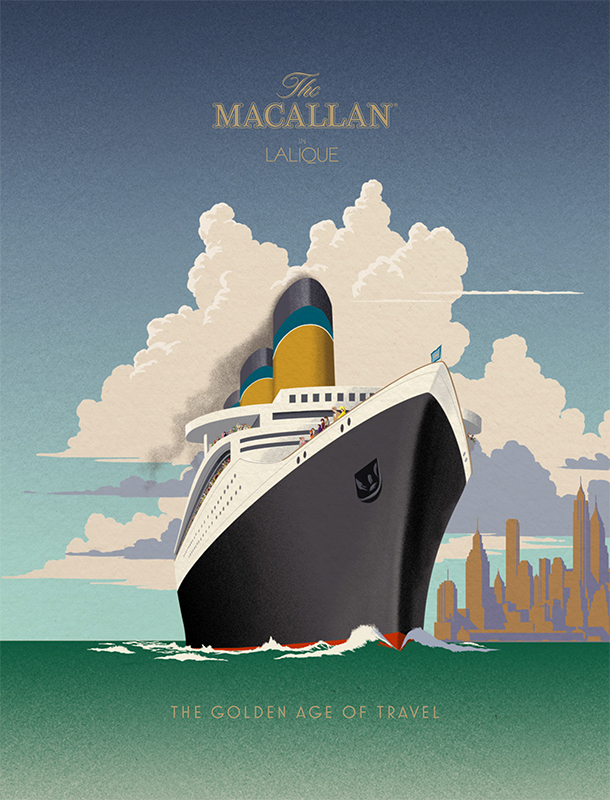 Garry Walton created this retro inspired illustration for The Macallan’s ‘Golden Age of Travel’ whisky. Garry’s artwork accompanied the special limited edition whisky which was presented to a lucky fifty connoisseurs in a beautiful Lalique engraved decanter. Garry's artwork reflects the stunning engraving on the decanters. To see more of Garry's work, click here. Garry Walton Pastiche is represented by Meiklejohn. Published on 16 March 2016.